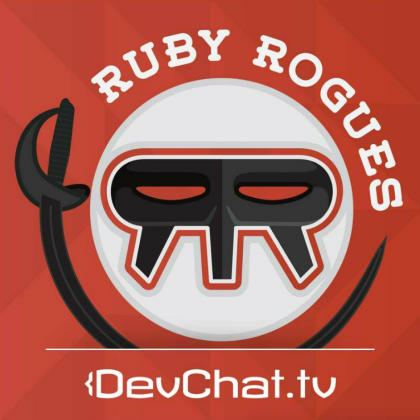 Today's episode is a My Ruby Story with Noel Rappin. Noel talked about his contributions to the Ruby community and how they explore new technologies like Elixir. Listen to learn more about Noel! Noel is in episodes 30, which was about Software Craftsmanship. He was also on episode 185, which was about Rails 4 Test Prescriptions. And then, the latest one was 281, which was about Take My Money. [00:02:45] – How did you get into programming? Noel is a stereotypical nerdy kid so he started programming when he was young. He had afterschool classes in Applesoft BASIC at a place near their house. He had TRS-80 and Texas Instruments, and a couple of other things. Noel has a Computer Science degree and a Ph.D. from the College of Computing at Georgia Tech, which was in the intersection of user interface design and Ed tech. He was designing interfaces for teaching, specifically for teaching engineers and developers. [00:04:15] – How did you get into Ruby? Noel came out of grad school immediately and went to a small web development company. He started hearing about Rails in about 2005. Having been one of the people who have done a lot of the Java-Struts web development that Rails was created in opposition to, Noel searched it up pretty quickly. But he started using it in 2005 or 2006 for some internal tools for his team. He built a test tracker and other things that his team is using internally. He built a couple of web apps for them to collaborate because they were working with some developers in Poland. And as he got comfortable with it, he contracted to do a Ruby on Rails book and got a full-time professional Ruby job. [00:06:30] – What is it about Ruby that got you excited? Noel has always like scripting languages and dynamic languages. He did a lot of work on Python for a while. It was extraordinary how quickly you do things in Rails compared to Java tools, even compared to Django, which was more or less contemporaneous. Ruby emphasized testing and Rails was very similar to some of the tools that he was building in Python. They are also out of date but they’re free now. He also did a self-published book about projects called Trust-Driven Development that you can still get. He did a book about purchasing, handling money and web purchases, and mostly this API called Take My Money, which came out last summer. Noel is currently working on a Rails 5 Test Prescriptions, which will include all the new Rails 5.1. It will come out this fall. Noel works at Table XI, which is a web consulting firm in Chicago with about 35 people. They do Rails development, websites, mobile development and a lot of React Native development. They build websites for companies that are not web software companies but companies that need web pages like non-profit or start-ups. They like to focus on solid business problems in software, rather than technology problems in software. [00:11:15] – What are you working on these days? Noel has his own podcast called Tech Done Right. The latest episode was with Michael Feathers. There is also an episode with somebody who is in charge of the Medicare Program under President Obama, who was actually the person who was called in to fix healthcare.gov and had some interesting stories about what that was like from a software manager perspective. This upgrade was for a Rails 2 application that was still in active development. The Rails community, at one point, was so bad at managing upgrades. And now, it does seem like the community has gotten better at managing new tools without breaking old ones. The security needs have pushed people towards the best practices. Like a lot of Ruby companies, they’ve been exploring what the next tools are. They ran an Elixir project. It’s originally an internal prototype, which is a great way to get new technologies into the company. They wound up building a small project that was largely API focused. That’s the kind of thing that Rails is not super great at. They’re exploring what to do with front-end because there’s a sharp understanding of what Ruby on Rails is good for and what might be the purview of other tools. Elixir does a couple of things that Ruby doesn’t do very well. A lot of people who start with Ruby can learn a lot from going off to a functional language like Elixir or something that has a pattern-matching type of language like Elixir.